For those brave enough, try this soup for the ultimate winter warmer experience. 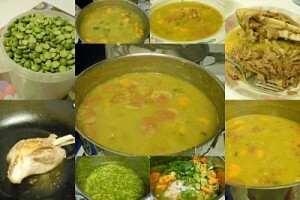 Wash the split peas, place in large stock pot along with the pork chops and 2 litres of water. Bring to the boil and simmer for approx 15 mins. Meanwhile peel and chop onions, carrot and celeriac (small chunks). Clean leeks and slice thinly. Add veg to the soup, bring back to boil and cook for approx 30mins. Heat up the sausage in the soup for the last 10 mins (alternatively heat in microwave). 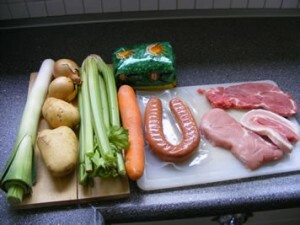 Take pork and sausage out, remove any bones, cut into small pieces.